Roman Reigns, The Big Dog sure seems to be the favourite of the company. I have always mentioned how I have failed to understand Roman's booking in WWE. He is tall, strong and has a great persona for a main-event headliner but his relentless push by the WWE has angered the whole WWE Universe. The very fact that there is a Wikipedia page dedicated to persona and reception of Roman Reigns speaks volume about the kind of push he has been receiving in WWE. Reigns made his WWE debut not so far back in November 2012 and in his 7-year career, he has had more than a couple of astonishing achievements to his name that are going nowhere for years to come. That being said, he is the current Universal Champion and according to various reports, opinions and rumours, WWE is planning a lengthy run for Roman Reigns as the Universal Champion. So without further ado, let's start with the 5 astonishing feats achieved by Roman Reigns in his 7-year career. The Undertaker's streak could have gone undefeated but if WWE was planning to break the streak, why break it twice. Lesner was the first wrestler to defeat The Undertaker and it looked quite believable that The Beast had to be the man but pitting Roman Reigns against The Undertaker and making him defeat the dead man is a feat that no other wrestler might be able to achieve. 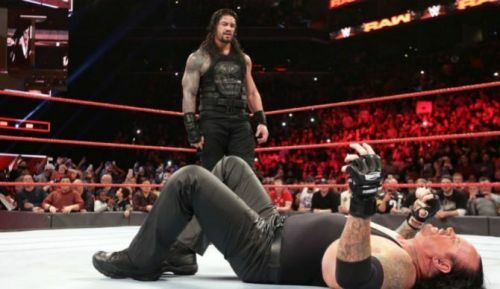 Taking into account, the wrestlers who have tried including Shawn Michaels, Triple H and John Cena in the very recent past, Roman Reign's emphatic win against The Undertaker is a feat that came way too early for The Big Dog or shouldn't have come at all. 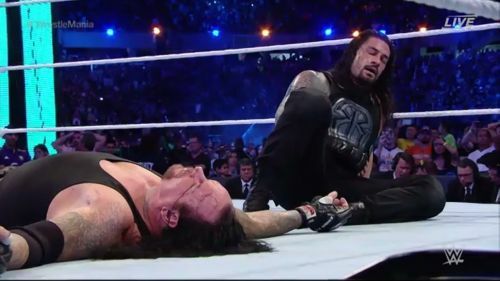 It's something that can't be undone and well, we will have to live believing that the only two men who defeated The Undertaker include Roman Reigns.